Last night surfing the TV, of course my favorites is always the Sport Channels. FOX Sports, ESPN. Around 2am, I came across one of my favorite channels, ESPN 2. Was thinking to catch some high lights from any sports, instead, they have an eSport event on. It was a re-run. 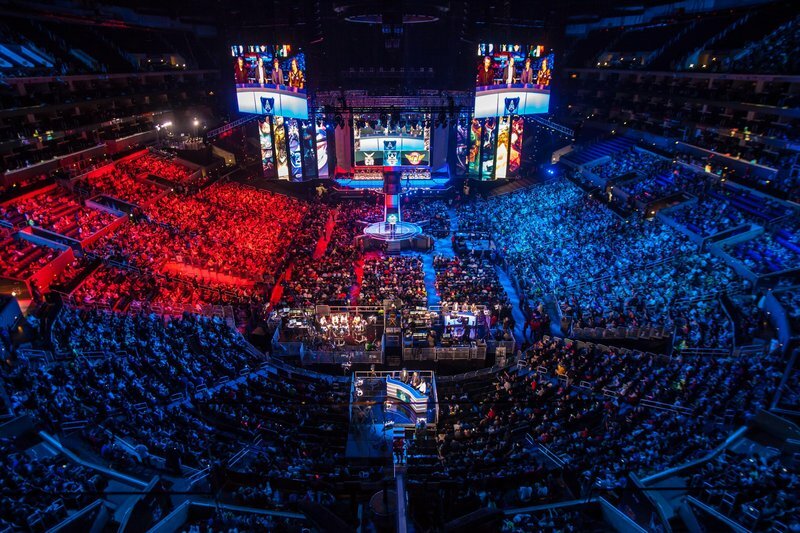 When it comes to eSports, you’ll think of popular games such as Counter Strike, Dota, etc…. but this time, it was from a new & reinvented classic game, Street Fighter. I was very impressed and continued watching the program. The community seems pretty big, there were also international players around the world arrived to this event is held in Las Vegas with a prize pool of $101,000. When they showed the competitor that got knocked out of the competition, it actually shows their award/prize money. Just like how they showed the prize money won by the players when they get knocked out on the Poker World Tour. In fact, earlier this month, there was another tournament called “Brooklyn Beatdown” which is held at Brooklyn Barclays center, where NBA Brooklyn Nets play in their home courts. The prize pool is $75,000, the 1st place winner takes a hefty $30,000 home. Of course this is nothing compared to The International 2016, which was held in Seattle early August with prize pool of $20.7 Million USD. The platform was played on a PlayStation 4. It was incredible to see that the competitors, all had customized arcade style joysticks, even the buttons were modified, mostly made by a brand called Madcatz. However, the PS4 was just regular PS4, nothing fancy about it. I thought the downfall of the event was to use PlayStation 4 as the platform. They should have made the players play it on the PC Platform with a tricked out rig. Remember, after all, this is on TV, and it’s on a very respectable network. Flashy modified PC gaming system will look great on camera.